A headteacher has warned that Birmingham children should not be “mollycoddled” - despite a shocking poll revealing pupils as young as ten are smoking in a bid to alleviate exam stress. As primary school children are currently being put through their Standard Assessment Tests (SATs) to judge their progress in maths, reading, writing and science, a study has revealed the pressure is proving too much for some youngsters. Conducted by market research firm Opinion Matters, the survey found children as young as 10-years-old were smoking cigarettes, gorging on junk food and drinking energy drinks to prepare for their exams. The study of more than 1,000 youngsters who took Key Stage Two SATs last year found eight had smoked before the tests, while 37 ate chocolate and 30 drank high-sugar beverages. It also revealed some 55 per cent of youngsters feared that getting bad results would affect their future lives. SATs are usually taken in May in Year 2, 6 and 9 and show a child’s progress. 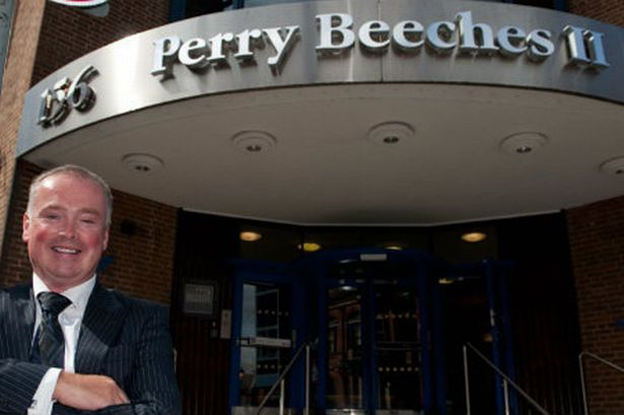 Liam Nolan, executive headteacher at the successful Perry Beeches chain of schools, said he was “not surprised” by the poll. The head, who is opening his first £10 million “all-through” school for pupils aged four to 19 in September in Small Heath, said teachers and parents had to support children through the stress. “The reality is we are in a competitive global economy, we can mollycoddle children but it isn’t ultimately going to benefit them,” he added. “It’s about teaching them to be structured and planned and recognising that being tested, stretched, challenged and pushed is part of life. “However it is also about getting the balance right and ensuring there are a lot of fun times and childhood play. He added: “Testing pupils at the age of six or seven is tough and I don’t envy children or their parents. “But there are things adults can put in place to alleviate the pressure. Child psychologist Dr Claire Halsey described the poll results as “troubling”. “It’s natural to experience some pressure to perform before any test - even at age 10 and 11 - but these results show that SATs have become more than a little nerve-wracking,” she said. It comes as cereal brand Kellogg’s, which commissioned the study, is donating 44,500 breakfasts to 300 school breakfast clubs to help children prepare for their SATs.